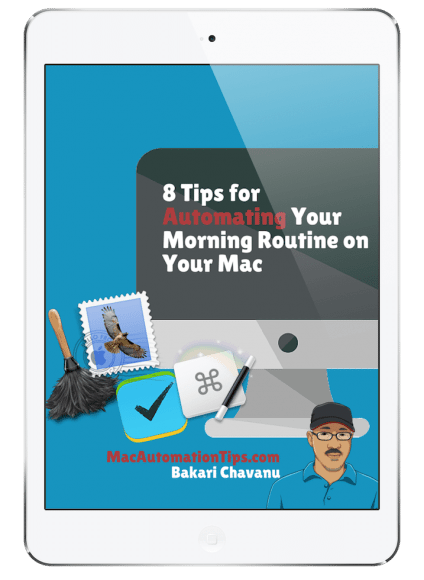 The following article is the first in a series guest blog posts, called “How I Automate.” It’s intended for Mac Automation Tips readers and automation tool users to share how they use Mac automation in their daily workflow. I’m delighted to have student, Tiffany White, explain how she uses the folder action application, Hazel for various purposes. You asked me about my Hazel usage. I use Hazel for all sorts of tasks. Currently I use Hazel to sort and manage the contents of folders, such as Downloads and Pictures. I have rules to move items like .pkg files, apps, disk images, Alfred workflows, pictures, etc., to distinct folders in my 4TB external drive. I used to have two folders on my external drive that Hazel moved stuff to. I would then manually sort those folders. But after listening to Mac Power Users (MPU), I found I no longer needed to manually sort anything—Hazel is more than capable of carrying out that task. Hazel costs $25, but you can download it for a free 14-day trial to discover just how useful it can be. I usually back up my iPhone photos to two places– iCloud and Dropbox. About a year or so ago I was going through the laborious process of sorting these files, which were added to Dropbox by the date they were taken, into folders of the years they were taken, and then tagging each. But the other day, I created a Hazel rule to automate this process. I have digital photos going all the way back to 2007. Some are Android photos, and the ones since 2014 are iPhone photos. I had tags for those photos that were taken with each phone, and tags for the years they were taken. I used Hazel to tag and sort the tagged photos into their respective folders using the rule “name contains ‘year,’ and the tag names are “year” and “phone”. I have accumulated 5300 photos over the years—that’s not much compared to some of my Apple heroes who have 140GB worth of photos! 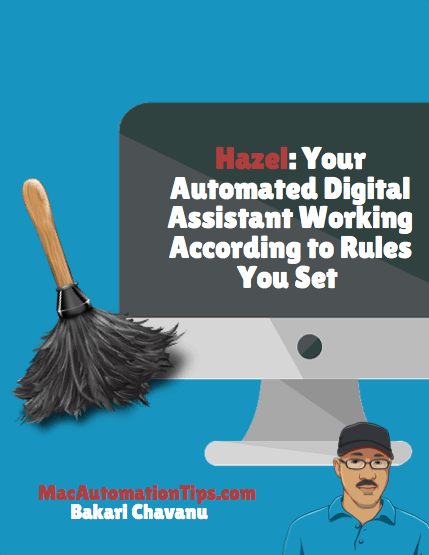 Hazel provides full automation in the background. 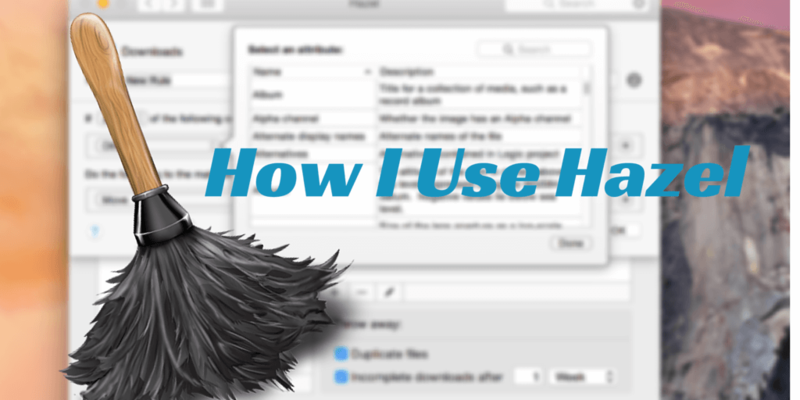 My guide provides several rules you can set up even it's your first time using Hazel. I am a student so I both create and download a lot of PDFs. I have a Hazel rule to run an OCR conversion of my PDFs using an AppleScript script and the application, PDFPen. Hazel adds my converted PDFs to a Research folder, opens them in Papers 3, and then archives the PDFs in DEVONthink Pro Office. I wrote about this workflow on my blog, which you can find here. Also, I like to have my papers and documents in several different cloud storage sites. So I keep them in sync with the Sync feature of Hazel. I sync folders from iCloud to Dropbox and from iCloud to Box. Box is the service my school uses, and we get 50GB of space from them. I am a paid customer of iCloud and Dropbox so I have plenty of room. Important documents that aren’t school related are stored and sync between Box and Google Drive. Recently on MPU, they had a segment about using IFTTT and Hazel together. I now have an IFTTT location aware rule that triggers when I leave my apartment. 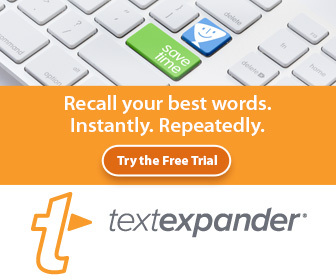 The IFTTT recipe triggers Dropbox to add a text file called “screensaver.txt” into my Sleep My Mac folder on Dropbox. With a nifty AppleScript script, I can start the screensaver on my Mac when I leave if I haven’t done it already. Then Hazel trashes the text file so it doesn’t trigger again and again. I also have a password protected Mac, so if someone were to break into my apartment and steal my Mac, they wouldn’t be able to log into it. My SSD is also encrypted with FileVault 2 so I am not too worried. But sometimes we have maintenance come around and I need to keep a lock on things. Another tip mentioned on MPU was unlocking your computer, or waking up your computer and playing a playlist in iTunes when you come home using IFTTT. The location trigger on IFTTT notifies Dropbox via a text file uploaded to “Play I Want It All” in a Dropbox folder called, “Play”. When I get home, the Hazel rule will execute an AppleScript script called “Play Playlist,” and I will be greeted to my favorite playlist to work to. In addition to the above uses, I also use Hazel to tag screenshots, move them around and clean up my hard drives, etc. This is why I love this application and use it so much. 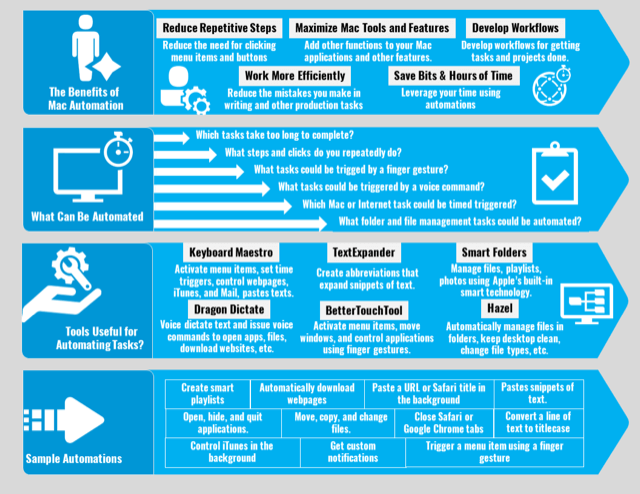 Thanks for inquiring about my workflow! I hope Tiffany’s article provides you some ideas for how you can use Hazel in your own workflow. Ask Mac Automator: Keyboard Shortcuts or Finger Gestures? Hi, Tiffany, Agree with you. Thanks for sharing this content. Much appreciated. Great topics thanks for sharing with us!!!!! !